Here at Treacle Towers our thoughts are beginning to turn to holidays and a chance to take some time exploring the countryside. We’ve been searching around looking at all the lovely things around that are there to make camping great whatever the weather. Our first need was to find a tent that was not only practical but beautiful too, so we searched online, visited a myriad of camping shops and out of a sea of blue and green nylon a clear winner emerged. 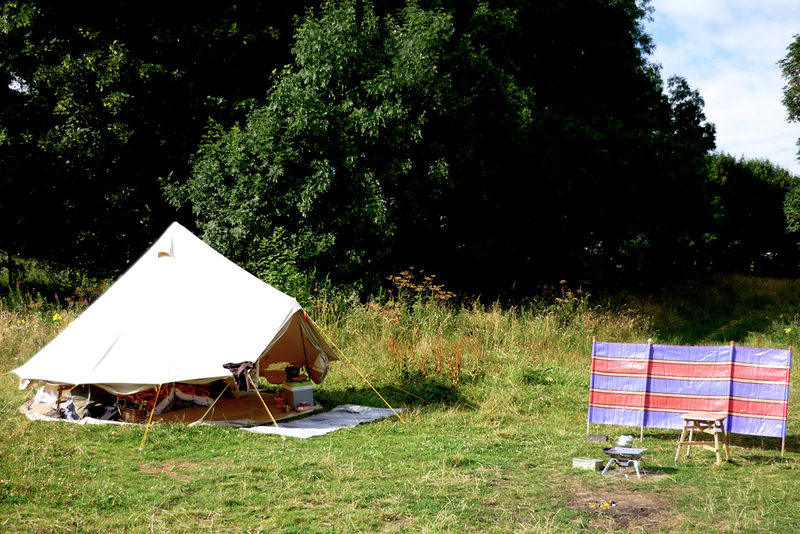 A symphony of comfort and design, a classic bell tent in canvas and cotton it stands hand and shoulders (literally) above the nylon nasties that litter the horizon. The SoulPad bods seem not only to have a strong ethical ethos but a naughty but nice sense of the absurd, as the definition on of the term on their website suggest. And in the click of a mouse and the blink of an eye we were proud owner of a SoulPad 4000-hybrid, and before we knew it the SoulPad was up and we were inside watching the shadows of the leaves dancing on the canvas. And even when the English summer took a damper turn and the rain beat down on the canvas we stayed snug and dry inside. So if you want to own a tent that will be both practical and a wonder to behold hoof it over to SoulPad’s shop and see what all the fuss is about.